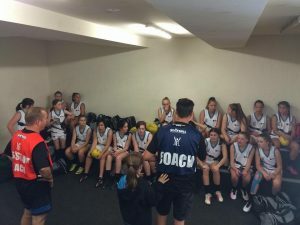 We are very excited to announce that Andrew Buntin, a foundation coach in our Girls Footy program, has agreed to take on the role of Girls Footy Co-ordinator. With a burgeoning program now comprising 7 teams in 2018, this is one of the most important roles in our club. and working with Committee and team officials to co-ordinate ground usage, social events, etc.